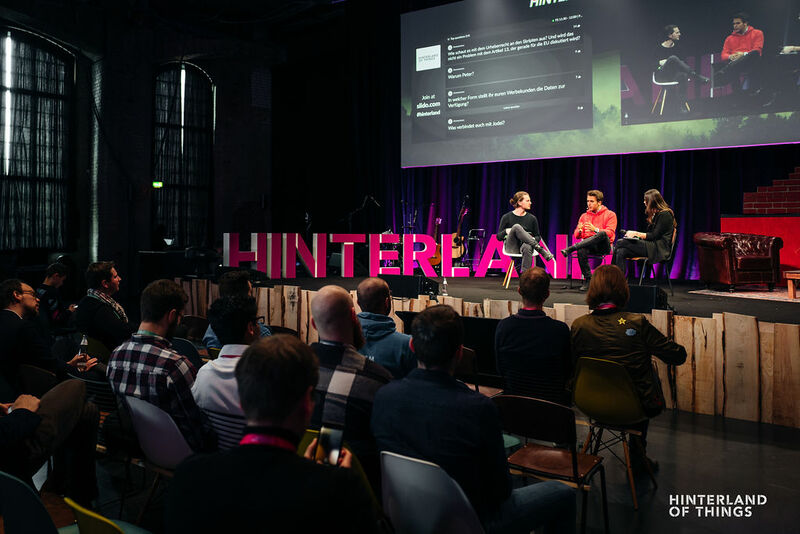 The Hinterland of Things conference brings Germany’s brightest startups, innovators, investors and CxOs together to create a joint digital future with leading German Mittelstand companies. Hinterland of Things’19 was held on 14 February’19 at Bielefeld, Germany – the home of established family-owned enterprises. The event centered around Blockchain, Artificial Intelligence and Internet of Things and aimed to connect the entrepreneurial ecosystem with interactive formats to initiate and take forward the dialogue on the next wave of digitalization. The program comprised of over 40 speakers, pioneers and experts—from an eclectic range of fields—who shared exceptional insights on their first-hand entrepreneurial journeys, experiences and learnings. Furthering Invest India’s partnership with GINSEP (German India Startup Exchange Platform), the event provided a remarkable opportunity for us to interact with leading German startups and showcase the Startup India hub and Invest India’s latest innovations initiative, AGNIi (Accelerating Growth of New India’s Innovations). Invest India team also had the chance to meet key German corporates as well as Dr. Brigitte Mohn, Executive Board Member, Bertelsmann Foundation to introduce Invest India and discuss potential avenues of collaboration to bridge the German & Indian startup ecosystems. The conference was based on a unique ethos – enabling a platform for exchange between the old and strong market leaders of the German economy and the next generation of start-up whiz kids and internet entrepreneurs. There are more than 4,400 family businesses in Germany with a combined annual turnover of over 50 bn Euros, that have been shaping the German economy for decades. Hence, the platform provided a one-of-a-kind opportunity to leverage the knowledge, network and enterprise of established family-owned companies with the ingenuity, creativity and astuteness of startups. It was inspiring to witness these vastly diverse schools of thought and energies come together to pave way for the success of digital innovation.